Surf’s Up Dude!!! 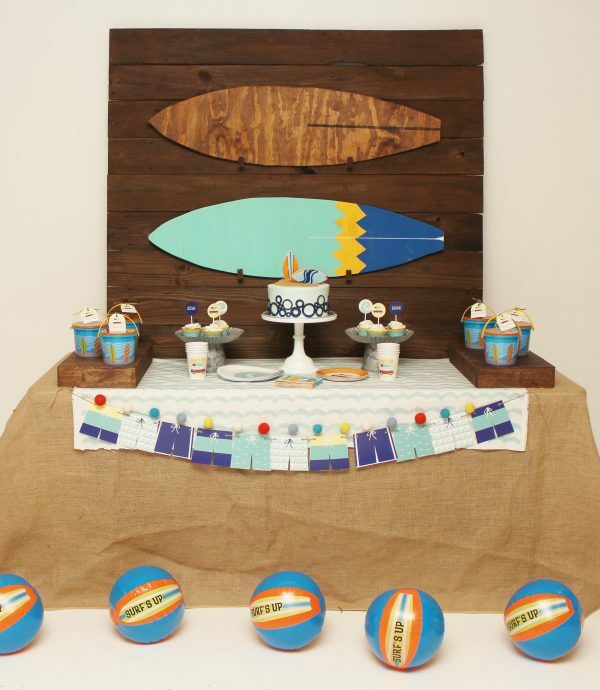 Our vintage surfer theme is so fun styled with fun beach finds. 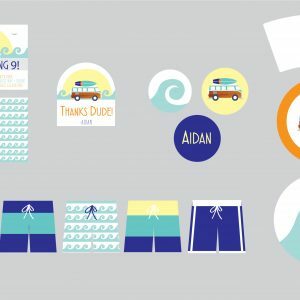 This listing is for a personalized, printable 5×7 surfing theme invitation file in PDF/JPG format. 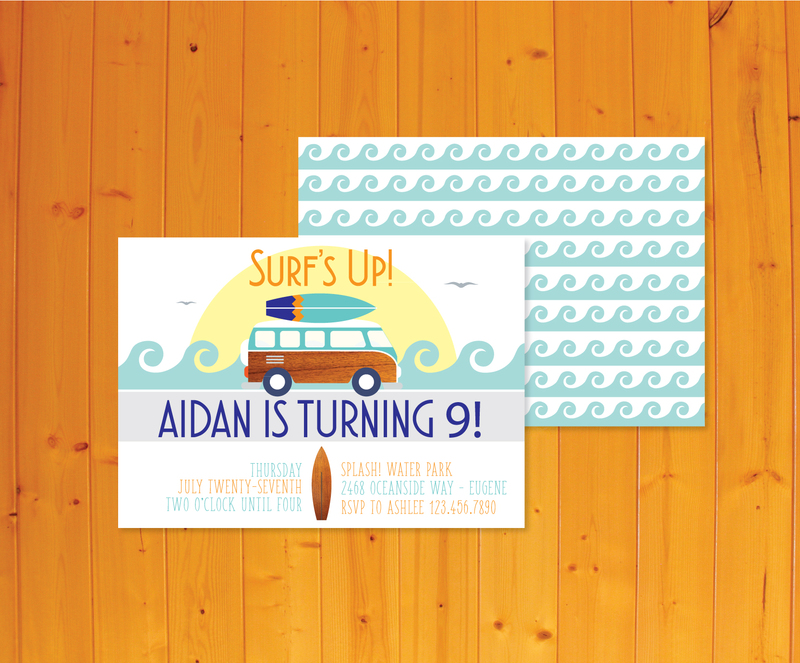 Be sure to preview our surfer theme party printable package as well! Thank you for shopping with Crowning Details!